Les Petits Fairytales – Goldilocks! Interactive reading and songs at BookCourt, Sunday, April 6th at 4pm. Join Brooklyn board book author Melissa Caruso Scott for an interactive reading of the beloved “Goldilocks and the Three Bears” followed by story songs with The Good Ms. Padgett. Padgett, who recently performed at Jalopy, wrote “Arm in Arm” for Elizabeth Mitchell’s You Are My Flower. She sings sweet and dynamic story songs that are funny, original and whimsical and enjoyed by children and parents alike. Her very catchy “Goldilocks” ditty will have everyone joyfully singing together. 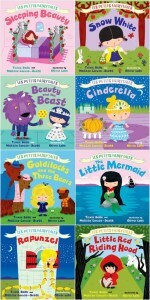 Melissa Caruso Scott is one of the creators of the “Les Petits Fairytales” series, an introduction to the magical world of fairytales. 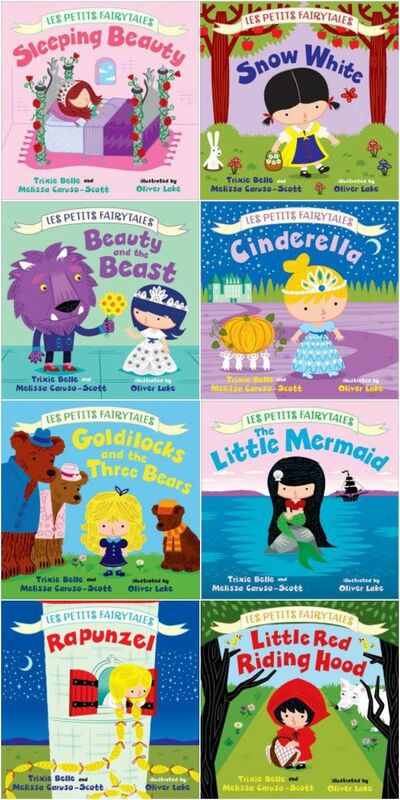 “Les Petits Fairytales” build vocabulary, introduce the element of “story” and create a foundation of classic fairytale imagery (castles, queens, and magic mirrors!) that will ignite children’s imaginations. By using these books as a guide, parents can expand the stories, allowing the tales to grow with their children. Goldilocks! will have little ones retelling the adventure of the little girl in woods before you can say “porridge”.